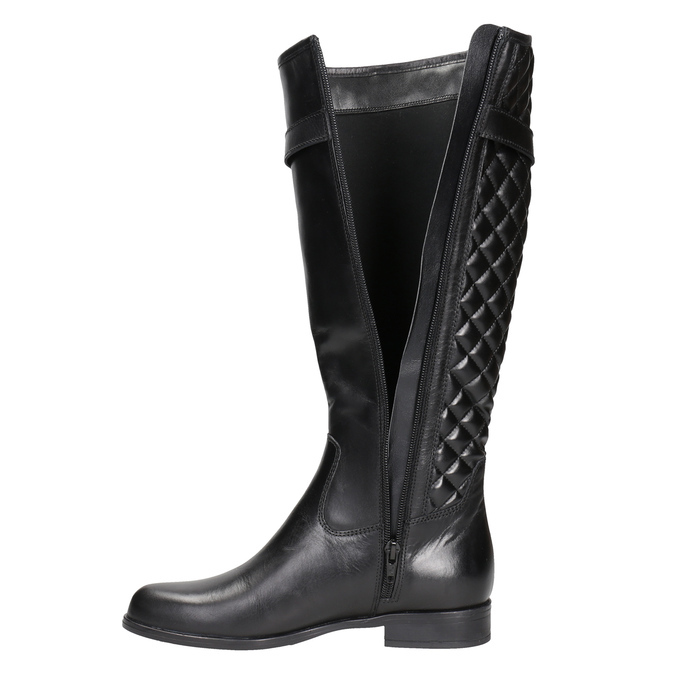 These ladies’ high boots have a smooth black leather upper. 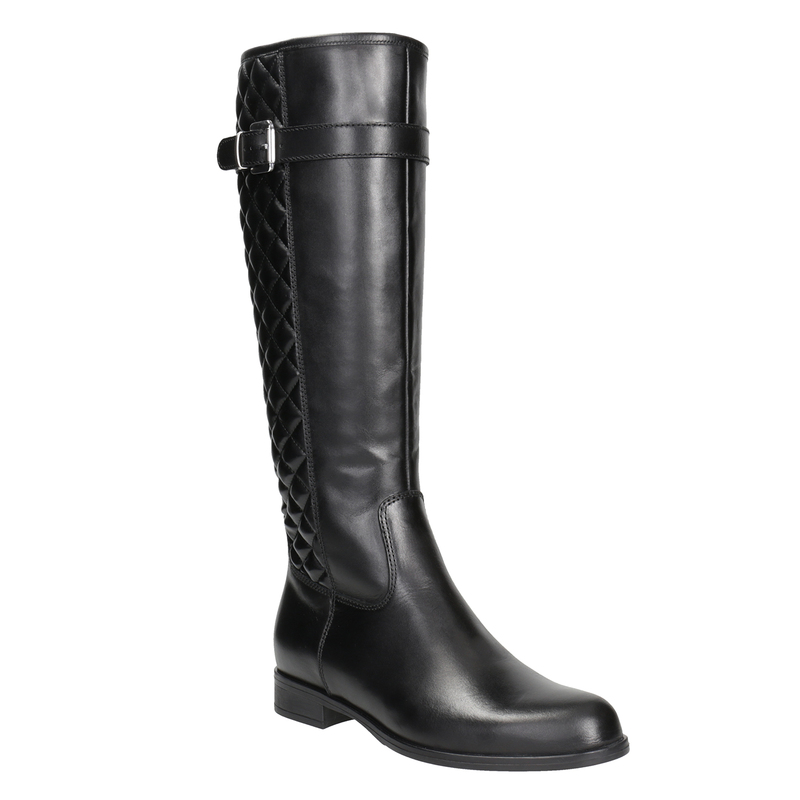 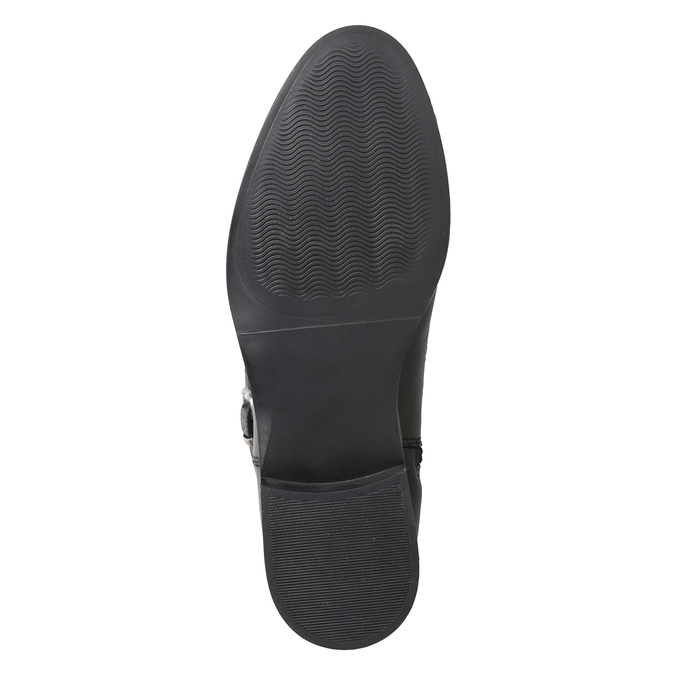 They feature stitching at the back of the calf and a strap with a silver buckle at the end. 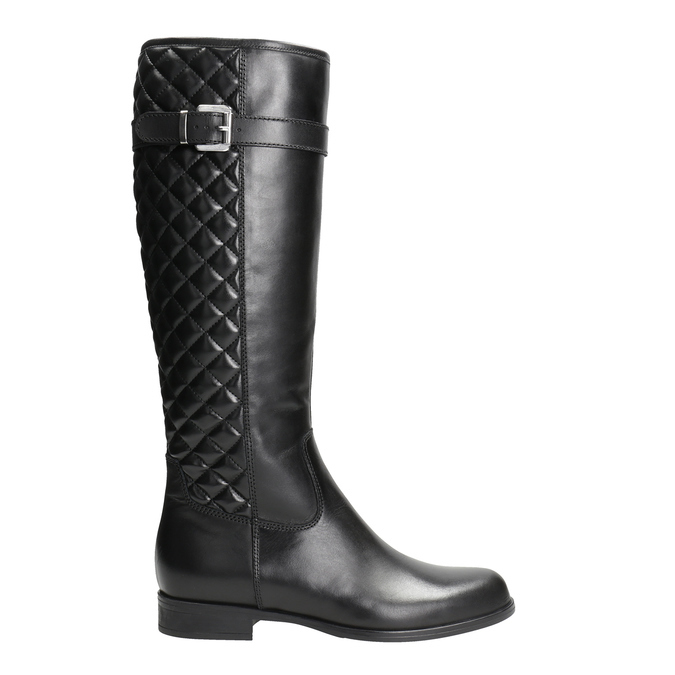 Perfectly timeless riding-style footwear. Combine with skinny jeans or with leggings and a long sweater.